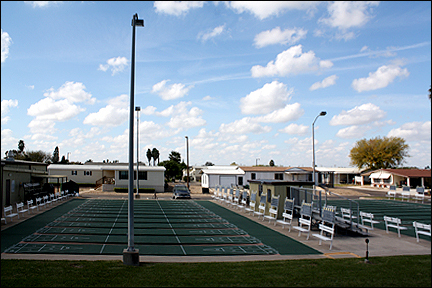 A Retirement Mobile Home Village restricted to single families with at least one person being a minimum of 55. Located in the "Heart" of the South Texas Region known as The Rio Grande Valley, Siesta Retirement Village is the ideal 55+ community where you can enjoy a Sunny Tropical Climate all year 'round. ♦ Golfers have the convenience of the Village Executive course next door and a half dozen courses nearby. 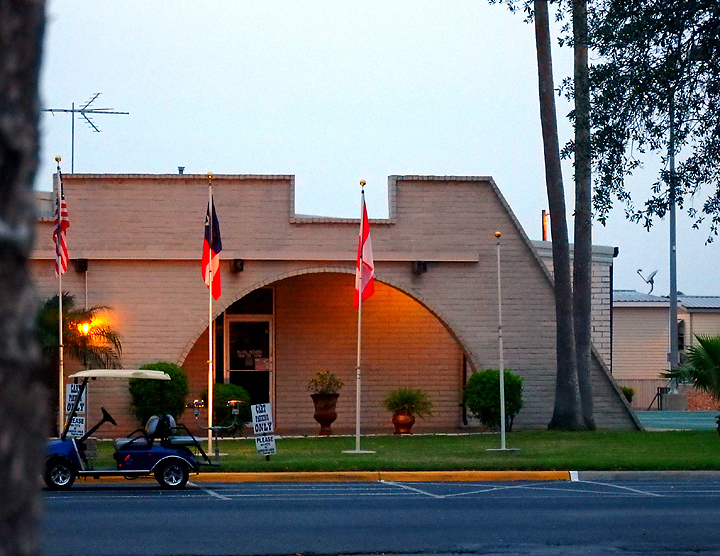 ♦ Located close by are outlet malls and local flea markets. The Don-Wes Fleamarket has over 2000 booths of items and treasures. 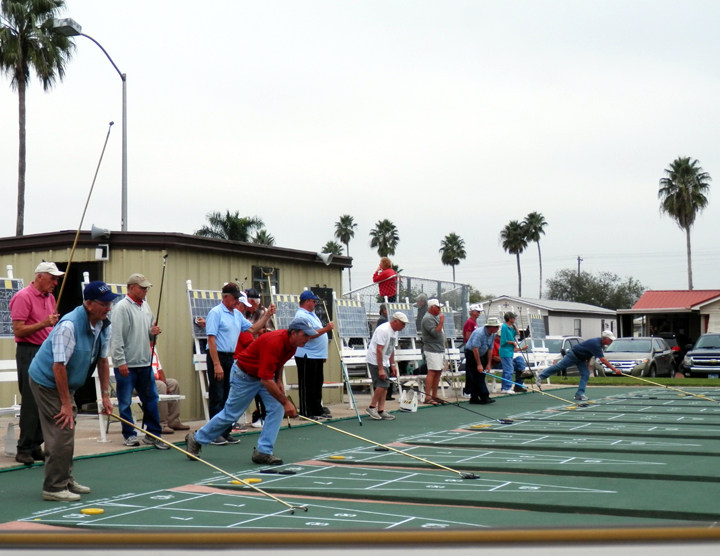 ♦ There are 24 Shuffleboard courts used for daily play and for tournaments. ♦ We are 5 mi North of Nuevo Progreso, MX, the most popular border crossing. ♦ South Padre Island is less than 40 minutes away for deep and shallow water ocean fishing as well as being a popular tourist site. The "Common Area" is owned and operated by resident shareholders and is governed by the Declaration of Covenant, Conditions and Restrictions of Siesta Village Subdivision. Residents can purchase, lease or rent their homes or lots. 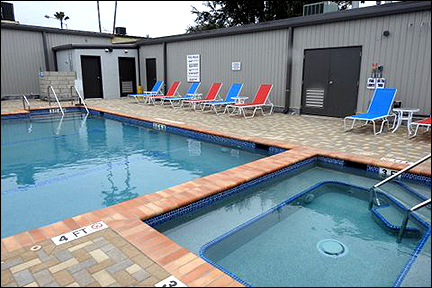 Relax at the heated swimming pool or the jacuzzi. Take advantage of our exercise room or enjoy walking around the community. Play a challenging game of shuffleboard, horseshoes or billiards. There are card rooms, craft rooms, a wood working shop and many more amenities for you to enjoy while you are here!